Now that it’s officially fall, I’m allll over the pumpkin. Pumpkin lattes. Pumpkin bagels. 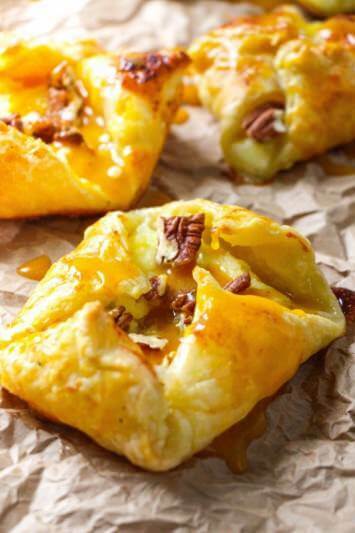 Pumpkin cream cheese. Pumpkin bread. Pumpkin seeds. 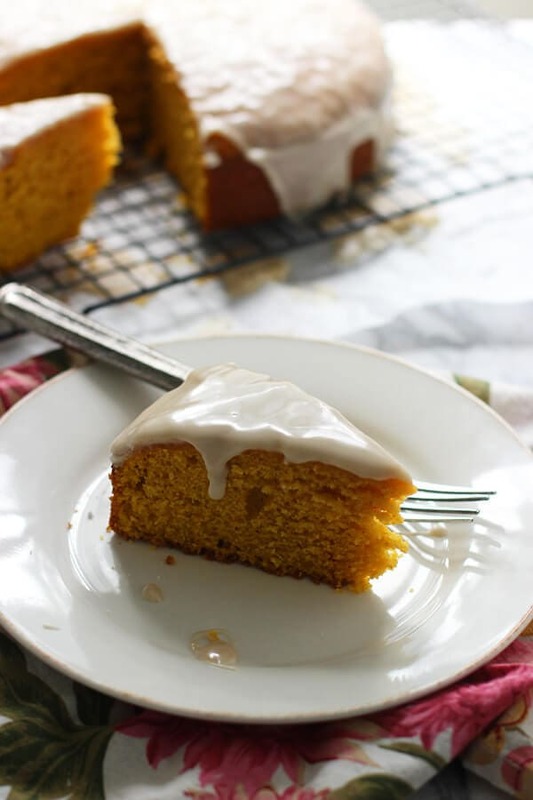 Pumpkin Olive Oil cake with brown butter glaze. Up until this point, I’ve been standing strong, and not caving in to the copious amounts of pumpkin that have been teasing me for the last month. It was just too soon, I mean fall only officially begun a few days ago! Plus, I’m a summer girl at heart. I love the heat. Lying on a raft in the middle of a pool is my happy place. Iced coffee and tea are jump-starts to my days. Summer produce makes me weak in the knees. When the pumpkin is introduced, it means that all of those things I love are officially gone until next spring, which seems so, so far away. But now that the last of the tomatoes have been picked from our backyard, the leaves have turned and the morning air has become brisk, I’m gradually warming up to the idea of fall. I’m ready for football and tailgates. Cute booties and comfy sweaters. Slow-cooked stews and baked pastas. And of course, the quintessential and aforementioned fall ingredient – pumpkin. 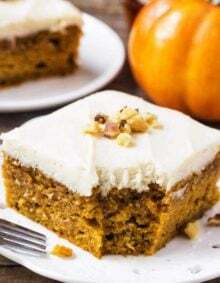 The swap out of olive oil for butter or oil and the addition of pumpkin make this cake irresistibly moist, in the best way possible. 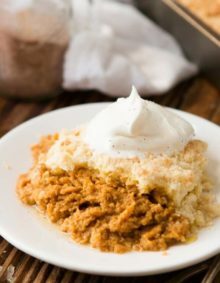 Cornmeal gives the cake a wonderful texture, and hints of cinnamon and cardamom add a subtle hint of warmth – something my soul needs in these increasingly cooler days. While the cake is superb on its own, a smothering of brown butter glaze (made with just three ingredients!) takes this from an every day cake to something that’s dinner party worthy. 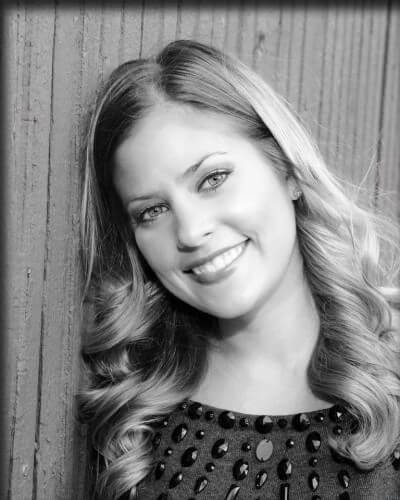 But, be sure to sneak a piece for yourself, because once you place it on the countertop for all to see, it will disappear almost instantaneously…. Brown butter is simply unsalted butter that is melted and simmered to a golden brown. How Long Will Brown Butter Keep? Brown butter will keep for 1-2 weeks in the refrigerator. 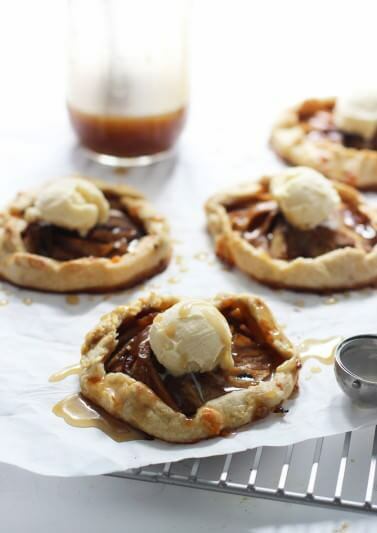 You can also freeze brown butter for longer storage. 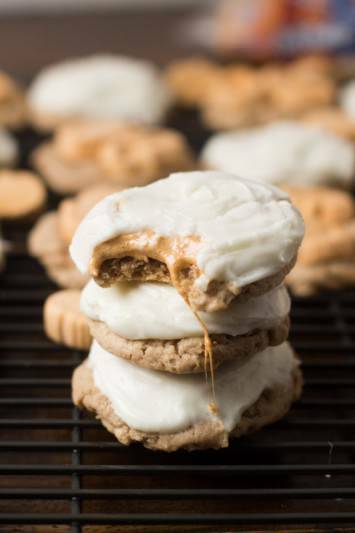 Can You Make Brown Butter With Salted Butter? You can brown salted butter, but all of the salt gets concentrated in the milk solids. That can ruin the flavor of what you are making. Liberally butter or grease an 8-inch round cake pan. In a bowl, sift together, flour, cornmeal, baking powder, salt, cinnamon and coriander. In a large bowl, using a hand mixer, beat sugar and eggs together until light and fluffy, about 2-3 minutes. Add pumpkin puree and milk, beat until combined. With the mixer on VERY slowly drizzle (and I mean drizzle) in olive oil. Add half of flour mixture to the pumpkin and olive oil mixture. Add the other half, repeat. Pour batter into prepared cake pan and bake 25-30 minutes or until you stick a wooden skewer in the middle of the cake and it comes out mostly clean and just a few crumbs attached. Heat a small sauté pan over a medium-high heat. Add butter, let butter melt and once it starts to become brown, swirl the pan until it’s a dark chestnut brown and smells nutty. Immediately remove from heat and let cool slightly. Add cooled brown butter to powdered sugar, and whisk to combine. If necessary, add milk one tablespoon at a time until the glaze is pourable. 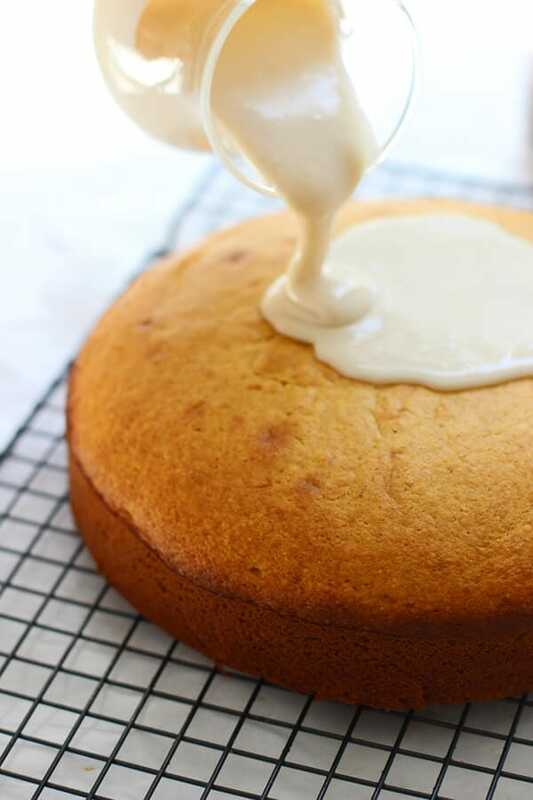 Once cake has cooled, pour glaze over. 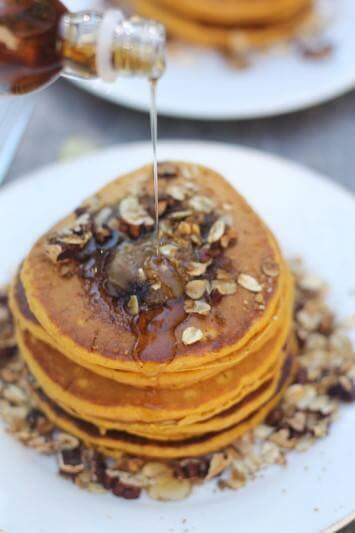 Pingback: Mini Pumpkin Olive Oil Cakes | On Weekends We Brunch! I am in love with this cake!!! Baking this!!! Hi! This recipe looks so good! I do have a question though. In the ingredients part, it says “1/2 olive oil” – I’m assuming it’s 1/2 cup? And which oil do you use – extra virgin or regular? Thanks! Yes – 1/2 cup olive oil. And you can use either! If you want a more prominent olive oil flavor, use the extra virgin, but if you want it more mild, use the regular! I always force myself to hold off on the pumpkin stuff until October 1st, so tomorrow I can finally start going gangbusters. This cake looks SO GOOD! I love olive oil cakes! The olive oil always gives such a wonderful earthy flavour, and I imagine it would be the perfect accompaniment to pumpkin. I’ve pinned this and will definitely be making it very, very soon. Thanks so much for a great recipe! Porsha, it’s cardamom! Changing the mistake! I’d been holding off on pumpkins too…that was until last week when I finally gave in and stocked up and am now in full ‘go’ mode with pumpkin everything! This cake looks amazing! Holy cow that glaze! It’s killing me! Love a good olive oil cake. Pinned! 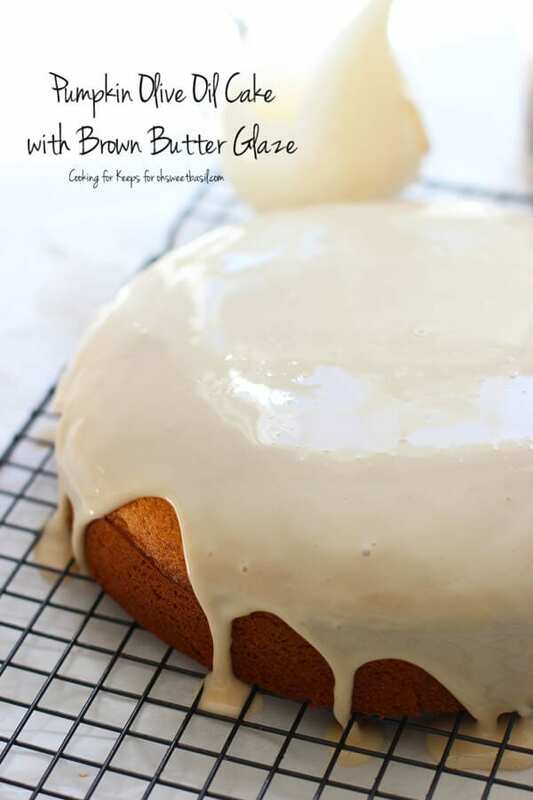 This is such a gorgeous cake and that brown butter glaze…be still my heart! 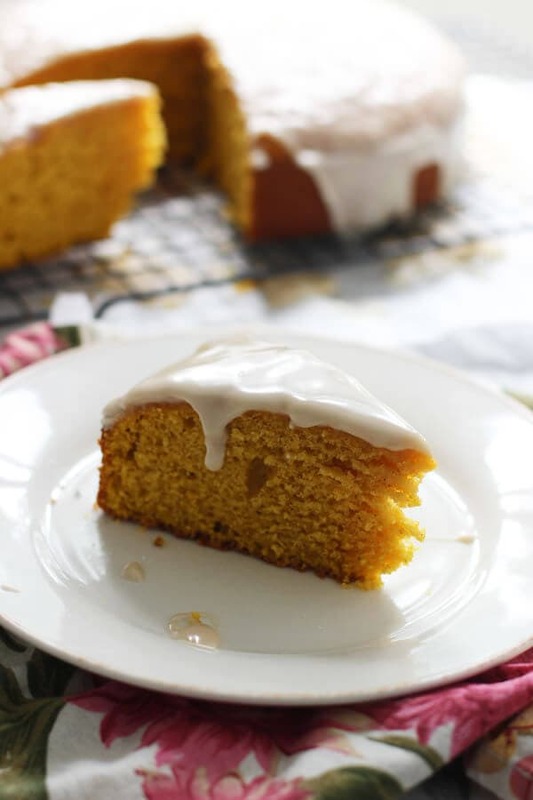 This cake sounds amazing and the brown butter glaze is over the top! I’m with you on the pumpkin pumpkin pumpkin. This is my favorite time of year and this cake looks amazing! This looks so good. 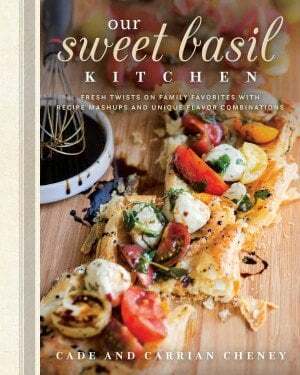 I love baking with olive oil but I have to agree with taylor, I’m intrigued by the cornmeal. Totally trying it. I definitely didn’t give in to pumpkin last month, but it’s totally pumpkin time now! 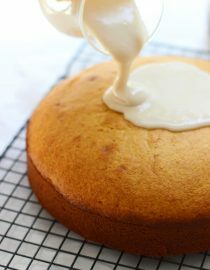 The olive oil and cornmeal in this cake surprised me, but I LOVE the idea. 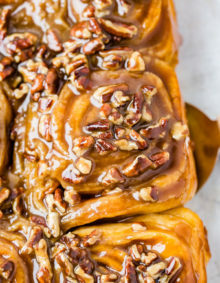 And that glaze? Dead. Pinned!